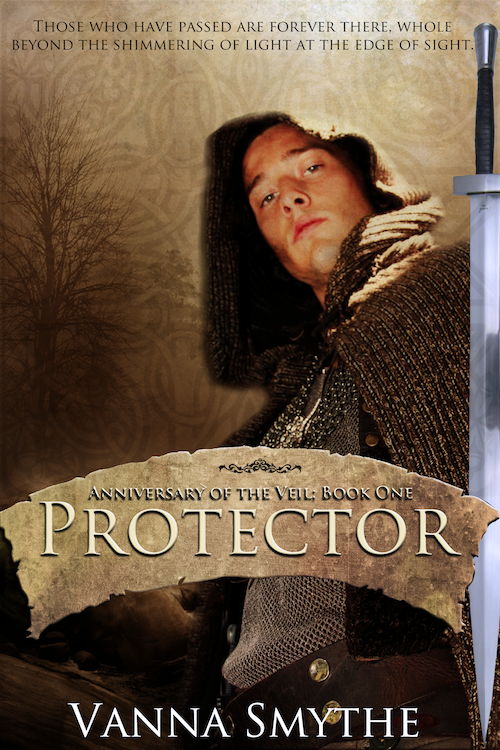 Here is the cover for my novel Protector (Anniversary of the Veil: Book One). 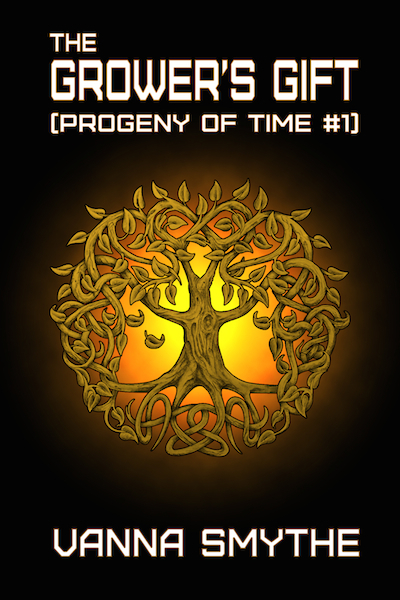 The cover was made by Char Nephan (http://nephan.deviantart.com/gallery/). Please, let me know what you think. 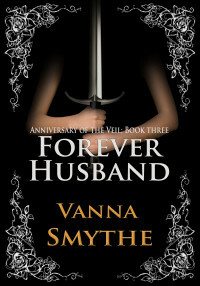 Would you pick up this book based on the cover? Click through to the description? 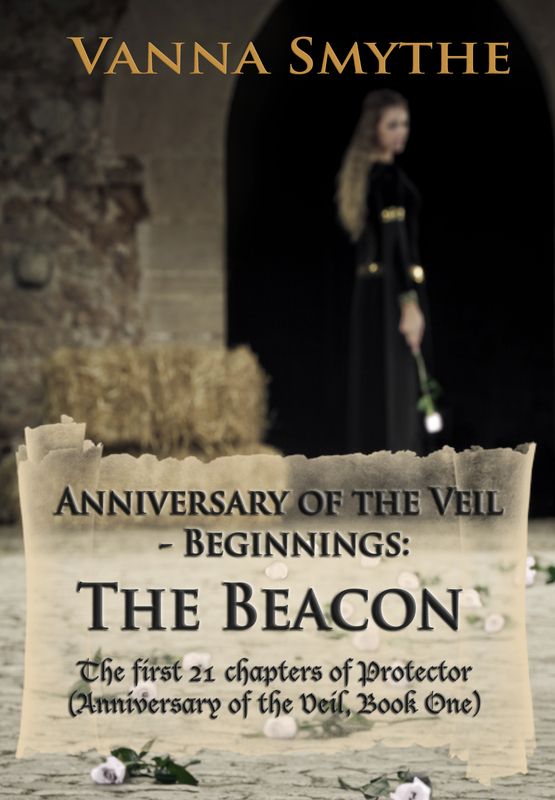 Any thoughts on what the book might be about? Stuff you like/don’t like about the cover? P.S. 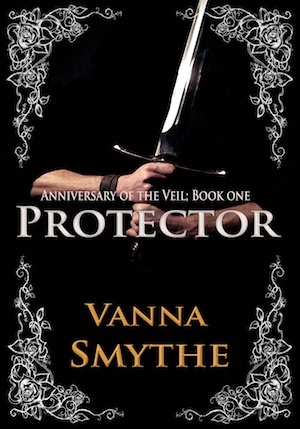 Protector coming in March, 2012. I think it looks good. The only thing I wonder is if it would be more compelling with the background behind the dude being dark sky and trees, like you can kind of see, instead of the pattern. It would make him contrast a bit more and I think give it more pop. I agree with Owen. The cover is bland to me, almost monochromatic. I would like to see a different background, perhaps even a hint of his separate self lurking in the trees. Lol, love the idea of his seperated self lurking in the trees 😉 In the hands of the right artist it could actually look really cool! Hi again, Vanna! I apologize! I clicked ‘send’ just as I noticed I misspelled your name. I fell so…dumb! Grrr! Thanks for stopping by and for your input! Interesting idea about the rephrasing of the sentence, I’ll think on it. I like the character and even the viewing angle (looking up into his face). I checked it out at 100 pixels wide in b&w: his image and the title carries through nicely. I think the sword has to go. It doesn’t add anything to the image and it actually distracts from the character. At smaller sizes, it’s hard to make out what it is anyway. The background doesn’t bother me as much as your other commenters, but I do think the the background tree in the upper left should be a little darker (more “contrasty”). It practically disappears at smaller sizes. The “fluffier” tree in the far background could probably be eliminated. I like the bleak look of the one with naked branches. I can’t wait to see the new cover. I’ll try to respond more quickly to your post next time. 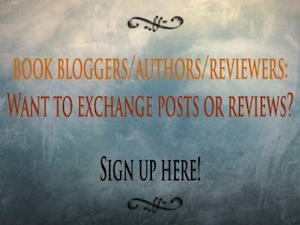 Also, if you really want brutally honest feedback, consider posting your cover over on KindleBoards.com in the Writer’s Cafe. I did that and got excellent feedback from other writers as well as several designers. I do have a date for the first Magic Appreciation Tour: it will run from March 1 to March 31. Thanks for coming over and commenting on my post. And of course I would reserve a space for you! You’ve been my most enthusiastic supporter! March 1 is my final deadline then! I just can’t wait. The composition is weak. This is in part due to the use of the sword placed on the right hand edge. It is a cool blue, which detracts from the warm golden brown tone of the cover. The sword looks to be an after-thought. Simply removing the sword will strengthen the composition, or you could show the character holding a sword. The curved title splash is in the wrong place, it divides the composition in two , the eye doesn’t naturally scan the page, but darts about, from eyes to title, to author and then to the top blurb. As above this is great overall, but the blue-grey sword throws it out. Character and the cover story. There is nothing wrong with using photographs in themselves as long as they are used in a way that doesn’t look like the artist had nothing else but the photograph to use. That is the main problem with the sword. (Having said that and looking more closely I think the sword is a 3d render.) Also the big problem with using a photograph of someone is that you are in danger of not portraying the character of your story, but simply in showing the likeness of the model who posed for the photograph. I have been as honest as I can with this criticism and I hope that it is of some use. Hi Vincent, thank you for your very honest and detailed feedback! 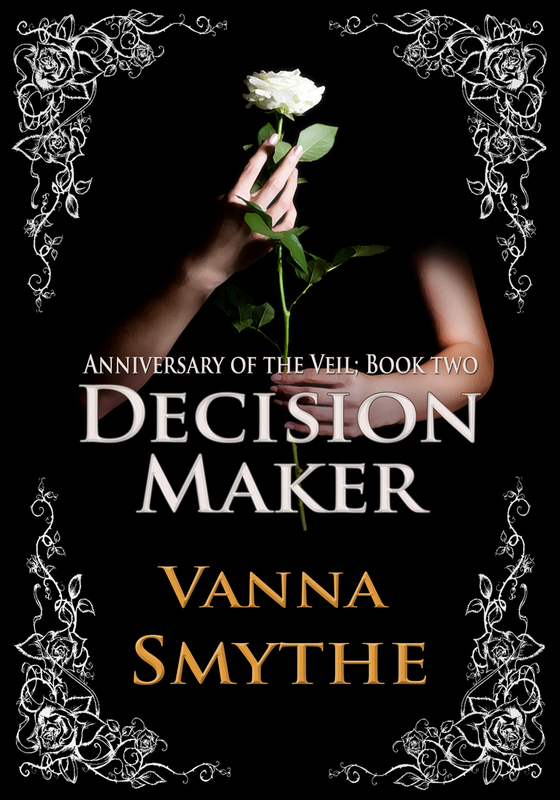 I’ve more or less decided not to use this cover, but your ideas and comments on the compostion will help me design the new one with a much keener eye. I’ve been searching for tips online, but when it comes to Photoshop I don’t even know what kind of search queries to use to get the info I need. Wow, lots of great comments here. What struck me was the sword. My eyes are drawn to it since it’s a different tone from everything else in the picture. If you want to draw particular attention to the weapon, that’s good. If that’s not your intent, then that’s bad because it distracts attention from what you want to be the focus. The cover doesn’t standout enough. You want something that will sell the book? Sorry, this cover is not it. Thanks for commenting and your interest!